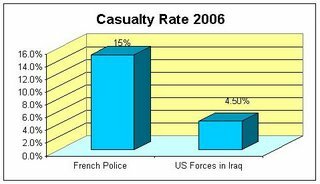 Infidel Bloggers Alliance examines the desperate situation in France. 2005 was a terribly violent year… in Brazil. 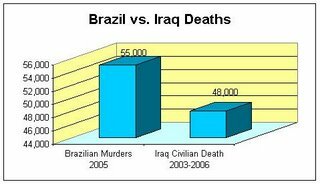 If we use the Lancet Model, murders in Brazil would topple 87 gazillion. 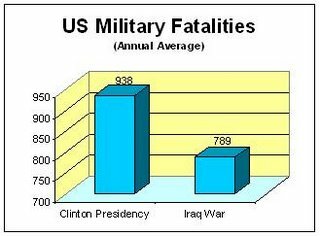 So, where was the outrage during the Clinton years? So, How Bad Are Things in Iraq Really? Update: My apologies to Pastorius, that was 4.5% not 14.5% casualty rate as originally posted.